MOSCOW, August 30. /TASS/. Engines of Russia’s Progress MS-08 spacecraft were switched on to perform a deorbit burn, a Russian Mission Control Center official said on Thursday. "The space freighter’s engines have been switched on for a retrograde burn as scheduled," the source said. The engines will work for three minutes. Once they are switched off, the spacecraft will began a reentry maneuver. The estimated reentry time is 04:58 Moscow time. At about 05:07 Moscow time, the spacecraft’s unburned fragments will splash down in a non-navigational area of the Pacific Ocean. 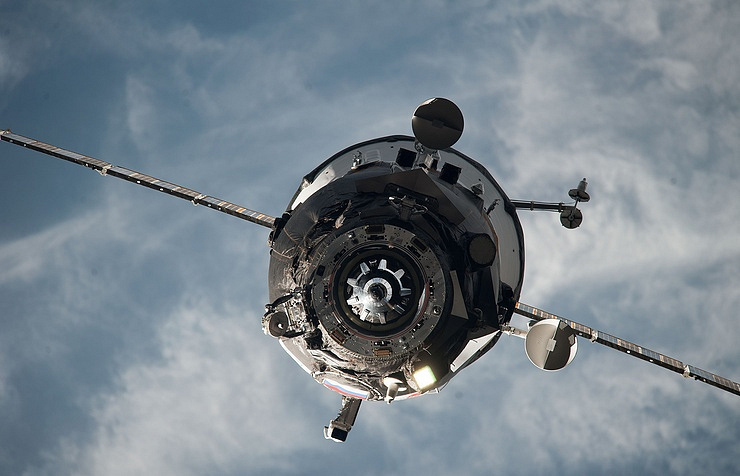 In accordance with the ISS flight program, the Progress MS-08 undocked from the Russian segment of the International Space Station (ISS) on August 23, 2018. For the next seven days, it was used in a scientific experiment.